Fextel, Inc. creates telephony solutions for business, from on-premesis PBX-based solutions to hosted call center services as well as customized applications built to fit your business needs. Our solutions are based on Open-Source technologies which are not encumbered by licensing restrictions that normally stand as a barrier to the growth of your company. 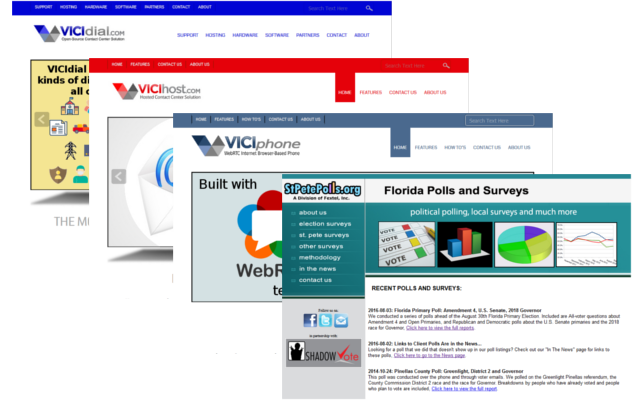 For more information on the solutions that we offer, please visit our company websites: VICIDIAL.COM for our Open-Source phone system and call center solutions, VICIHOST.COM for our hosted telephony solutions, VICIPHONE.COM for our WebRTC browser-based phone or STPETEPOLLS.ORG for telephone surveys. Copyright © 2018 Fextel, Inc. All Rights Reserved.